Hyundai Mobis Co., South Korea's biggest auto parts maker by sales, said Sunday it will introduce a windshield display technology for its autonomous vehicles that can play movies and be controlled with hand gestures. 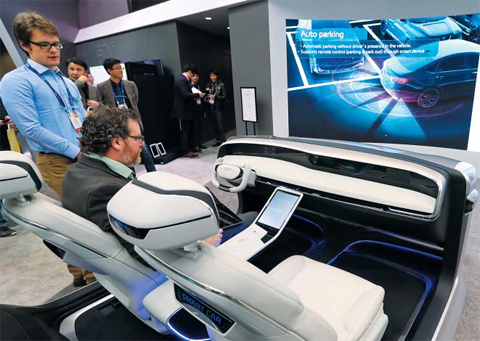 Hyundai Motor plans to unveil the technology, which tracks a driver's eye and finger motions to manipulate the display while in autonomous drive mode, at the 2019 Consumer Electronics Show, the carmaker said in a statement. A movie can be shown on a wraparound windshield that encompasses the front seats, and the navigation and audio systems can be also be operated by finger motions in autonomous mode, it said.